You are here: Mascus Australia > Used trucks and buses > Trucks > Hook lift trucks > Iveco > Iveco Trakker AD260T50 6x4 Tempomat/eFH. Videos of Iveco Trakker AD260T50 6x4 Tempomat/eFH. 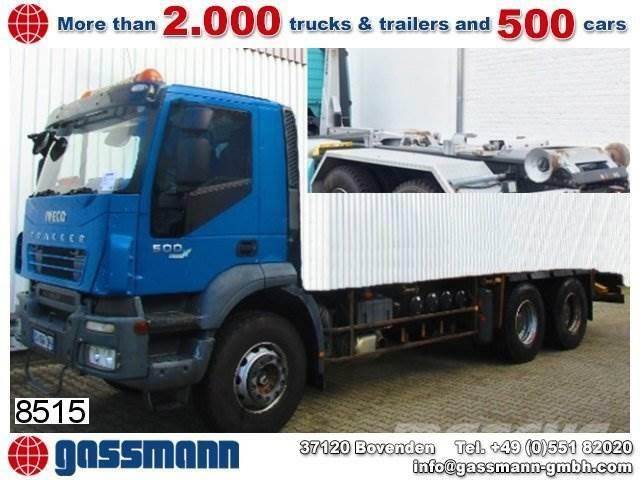 Brand / model Iveco Trakker AD260T50 6x4 Tempomat/eFH.